India's leading carrier Jet Airways has announced the immediate suspension of all its flights to and from Abu Dhabi, citing operational reasons, said a report. In a notice, Etihad Airport Services warned passengers of "minor disruption" due to the "short notice of flight cancellation", said a report in The Times of India. According to the report, a senior Jet official claimed the cancellation of flights to Abu Dhabi is not linked to delay in equity infusion from Etihad, which owns a 24 per cent stake in the Indian carrier. Jet founder Naresh Goyal had written to Etihad Group CEO Tony Douglas on March 8 seeking an urgent infusion of Rs750 crore ($108.6 million) within a week, failing which he warned the airline could even get grounded. 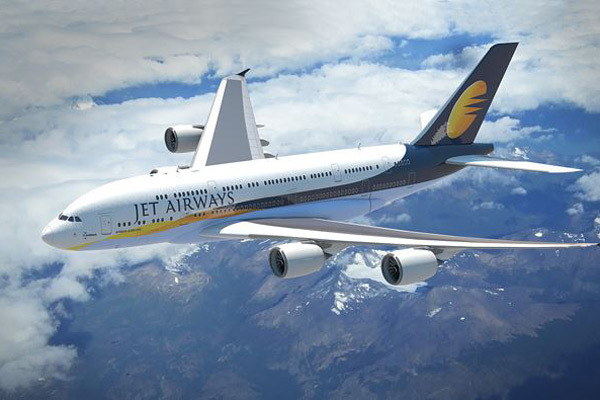 While it is now 10 days since the SOS was sent, Jet has not received any funds from Etihad, the report said. "The cancellation of Abu Dhabi flights is part of the ongoing route restructuring we are currently doing due to the operational issues. For the same reason, we have reduced our Delhi to Dubai and Bangkok flights," the report cited a senior Jet official as saying. Media reports have said that all affected Etihad guests have been rebooked onto alternative Etihad operated flights or offered refunds as per standard policy.